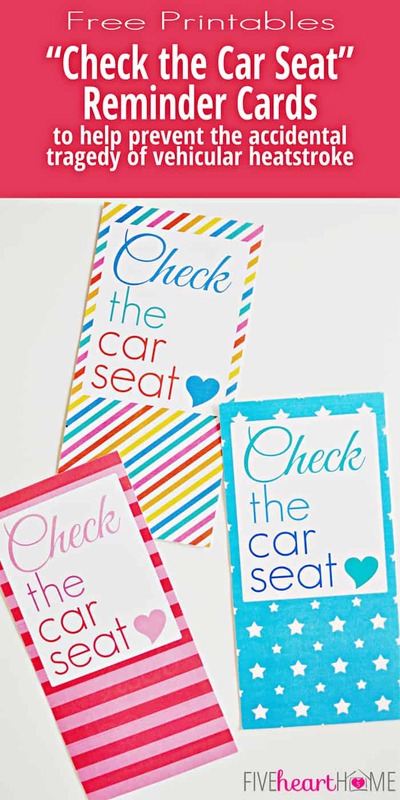 “Check the Car Seat” Reminder Cards provide a visual cueing system to remind a parent when a child is in the back seat, thereby preventing the tragedy of vehicular heatstroke when a silent child is accidentally forgotten. 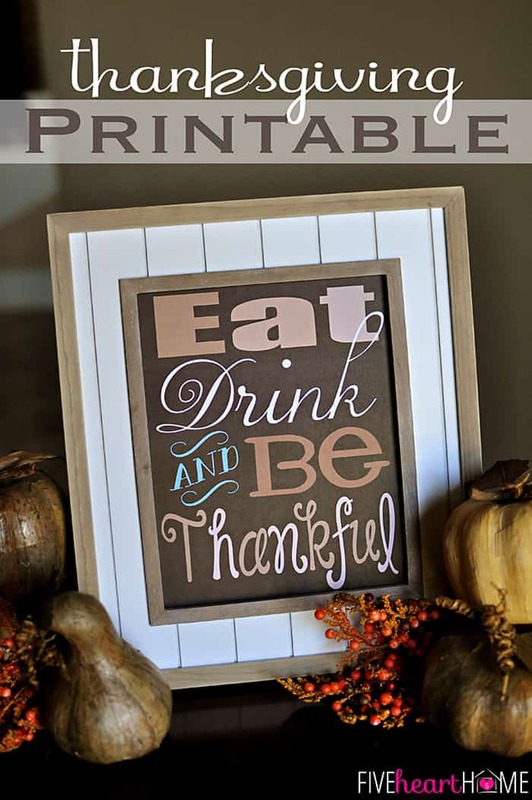 While Five Heart Home is primarily a food blog and the vast majority of my posts involve recipes, my long-time readers know that I also share printables every so often. 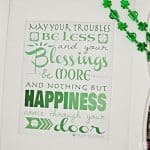 About once a month, it’s likely that I’ll create a cute holiday quote to display, or a back-to-school teacher gift printable, or printable gift tags or cards. 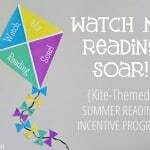 I’ve been racking my brain for a fun printable to share with y’all in July…but in the past few days, a different kind of idea has been brewing in my head. Today’s printable is serious as opposed to fun, but it may end up being the most important printable I’ve created to date. 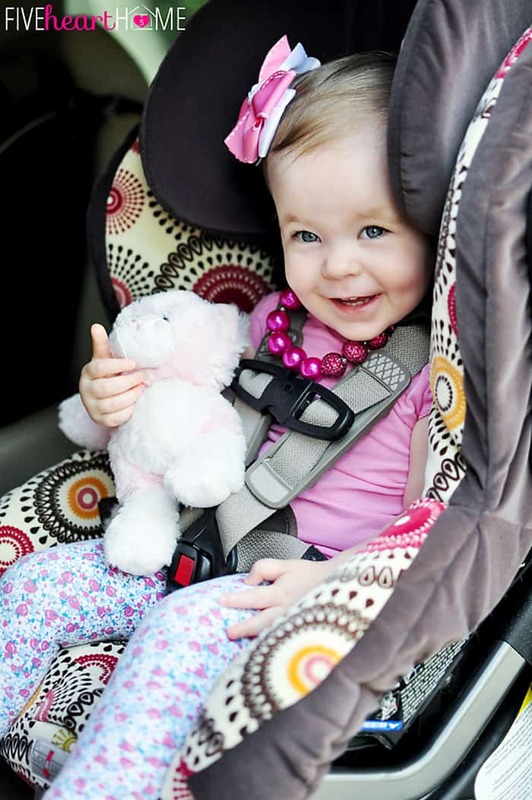 We’ve all heard the tragic stories of young children being unintentionally left in a vehicle and suffering the catastrophic consequences of vehicular heatstroke. Before I had babies of my own, I have to admit that I just didn’t understand how this could happen. What kind of parent could forget that their beloved child was in the back seat?! But now that I have three little ones of my own? I totally get it. The truth is that parents of young children live a highly distracted, ever multi-tasking, chronically sleep-deprived existence. On top of that, all it takes is one change in a parent or caregiver’s typical routine to completely throw him or her off. The teething baby was up all night — for the fourth night in a row — and so were you. In spite of your sleep-deprived stupor, you can no longer put off a grocery store run. It’s a trip that you usually make by yourself, but the baby has to come with you today since his daycare closed due to a random holiday. On the way to the store, the baby uncharacteristically falls asleep while you mentally recite the items that you forgot to write down on your grocery list, in hopes that you’ll remember them by the time you get to the store. Just as you’re about to get out of the car, your cell phone rings and — wouldn’t you know it? — it’s the dishwasher repairman finally calling you back to schedule a service window. 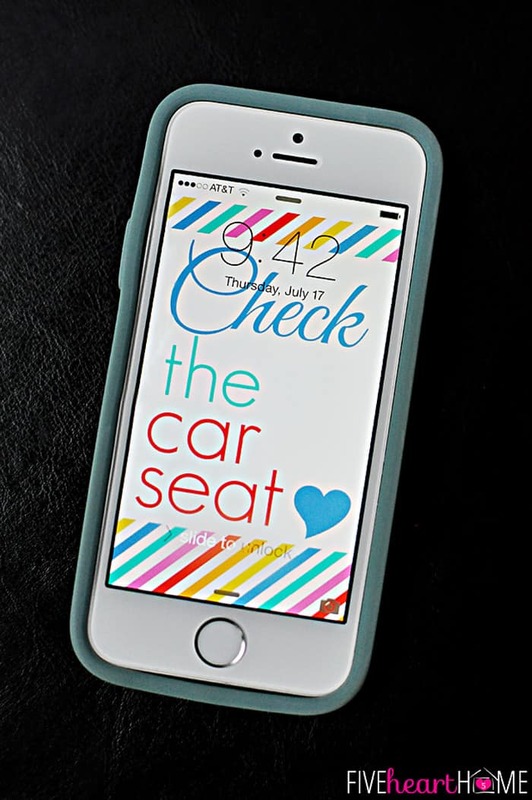 You answer the phone, juggle your purse, keys, and grocery list, and open the car door. In your exhausted, distracted state, hopefully you remember that your silent, slumbering baby is in his backwards-facing seat in the back of the car. Odds are that you will. But sadly, there are dozens of parents and caregivers each year who make the unfathomable mistake of forgetting, with tragic consequences. Last week a friend of mine shared (via Facebook) a haunting YouTube video chronicling the (re-enacted) vehicular heatstroke of a toddler, caused when his mother unintentionally forgot that he was in the car. That video was so disturbing that I haven’t been able to stop thinking about it. And as if it wasn’t already on my mind enough, in the subsequent days, two more articles on the same topic popped up in my news feed. I think what makes this phenomenon so disconcerting to me is that, as horrific as it is, I fully believe that it could happen to anyone…including myself. This is a fairly modern worry, since it’s only in recent years that car seats have been relegated to the back seat where they are required to face backwards, while smart phones and an onslaught of technology increasingly demand our attention and distract our focus. I think awareness that these tragedies can and do happen is the first step in preventing them. But on top of that, we need some sort of cue for when memory and routine fail us. If you already have a system in place that works for you, I would love for you to share it in the comment section below! 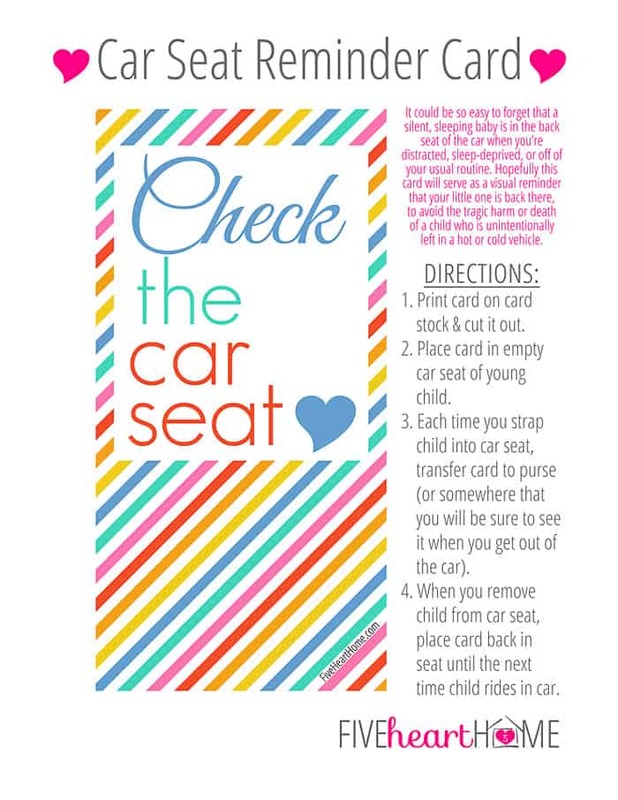 But in case you don’t, today I’m sharing a simple, physical, visual reminder created in the hopes of preventing even one tired, frazzled parent from mistakenly forgetting that his or her most precious gift is quietly sitting in the back seat. These printable reminder cards are free to download and easy to use. For each young child that you have, simply print a card on card stock and place it in his/her empty car seat. 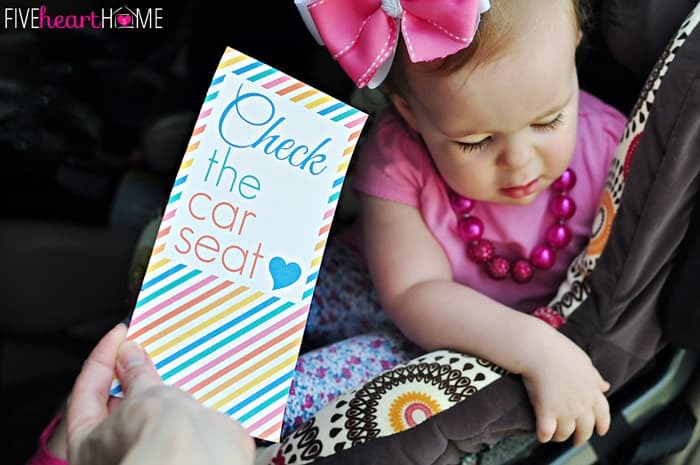 …place the card in a location that you are sure to see it when you get out of the car. I never leave my purse in the car, so I put my card so that it’s sticking out of the top of my open purse. 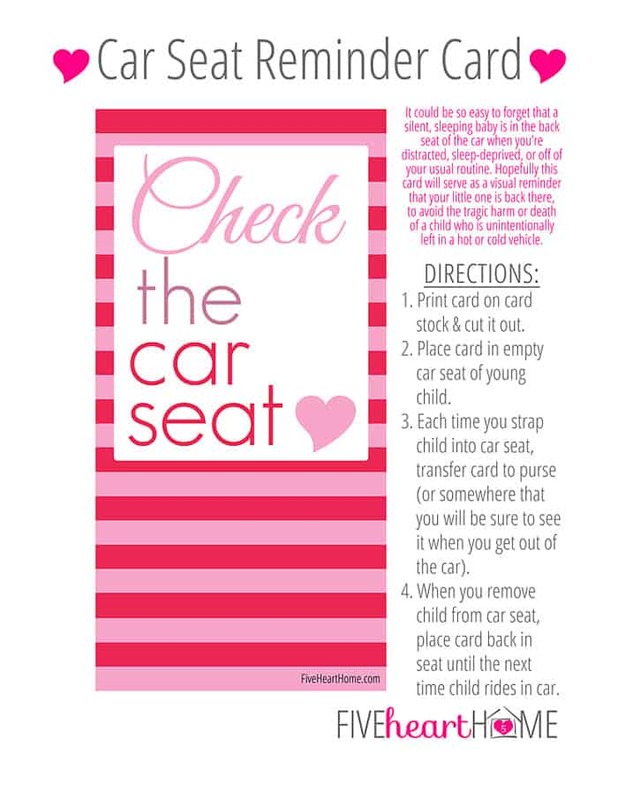 …simply place the card back in the empty seat. Another option for using this printable is to save one of the below images (under the download links) to your phone, then size it to use as wallpaper on the lock screen of your phone. 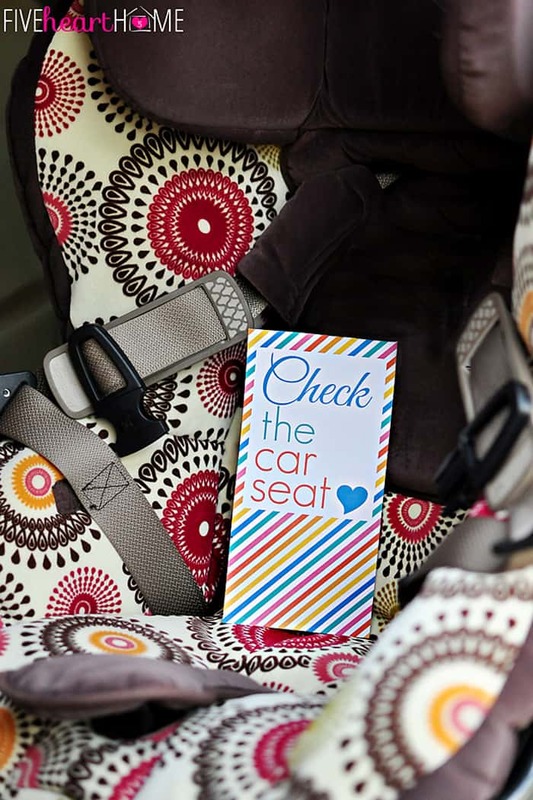 Most of us check our phone when we stop the car or shortly after getting out, so seeing a “Check the Car Seat” reminder there may serve to jog your memory as well. I worry a bit that you might become accustomed to seeing this on your phone and not really register what you’re reading after awhile. I think that the physical act of moving the reminder card in and out of the car seat might be more effective. But I just wanted to throw this idea out there as another option in case you think it might work better for you. Frequently changing the look of the message on your phone screen might help you pay attention to it more. Hopefully, this simple, visual cueing system will become a part of your everyday routine and help bring you some peace of mind that, even in your most frazzled of moments, you won’t make the type of accidental mistake that could lead to unthinkable tragedy. Consistency is key, since making this a habit on even short, quick car trips will ensure that it’s already a routine on the occasions when you’re more likely to forget. I know this isn’t the only way or the best way to remain conscious of the fact that your little one is in the back seat, but hopefully it is a way that will help someone. 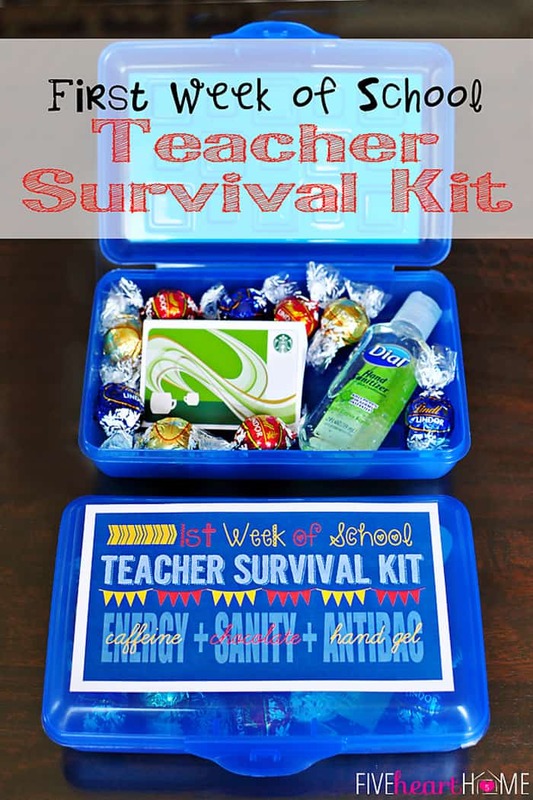 Download these printables by clicking on the links above. I designed three different color schemes so that you can choose your favorite, use different cards for different kids, or switch out the card you use every once in awhile to keep it fresh in your eyes and help you notice it. What a great idea, Samantha! I don’t have little ones anymore, but will spread the words to my friends who do. And I just can’t get over how seriously adorable your little girl is! Thank you so much for sharing, Julie…I really appreciate it! And thanks also for your sweet words about my daughter…she sure lights up our world. 🙂 Happy Friday! God bless you for trying to help in these terrible situations we are continually hearing about. It is so hard to wrap my brain around this epidemic hitting our nation. I am printing these out to share 🙂 Thank you! Thank you so much for your support and kind words, Janet! This post has incited some pretty strong opinions on social media from people who don’t understand how any parent could forget that their child was in the car. I’ve been directing them to the Washington Post article on this topic that I referenced in my above post…link here: http://wapo.st/1l9QUZu . Hopefully spreading awareness on this issue will help people understand that it’s a tragic mistake that can be made by the most loving and attentive of parents. Thank-You, Thank-You, Thank-You if this saves even one child’s life it will be worth it. Some friends and I have been trying to solve this exact problem ….we live in a big city where this has been in the news way too often recently. 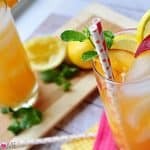 I hope people will try this and share it. I will be sharing this with everyone I know. Bless You! Samantha , these are wonderful! Thank you for sharing them and having such a great caring heart! Such an awesome idea! And a much needed reminder to help avoid a tragedy. Thanks Sam! If a parent is this out of it and needs a reminder…they should not be driving a vehicle! 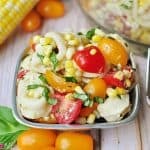 Your comment is not constructive to the purpose of this post — which is to spread awareness and potentially help parents or caregivers avert accidental tragedy. I won’t be publishing any similar comments that I receive, but you left this comment with a fake e-mail address, so I wanted to have a chance to respond. If you would like to educate yourself on how this tragic mistake could be made by anyone, I highly recommend you read an article published by the Washington Post several years ago regarding this topic: http://wapo.st/1l9QUZu It is a very long journalistic piece but well worth the read. It explores this phenomenon from various facets including scientific research on how the human brain is capable of forgetting something as important as the location of one’s child. Many people don’t understand that this is a mistake that could be made by anyone. I’m not going to argue this topic with you but I think everyone should read that article before they demonize the heartbroken parents who have made this horrifying, tragic mistake. And when someone does something to try to help, such as creating a printable to aid parents interested in taking steps to avoid this tragedy, I don’t think that snide comments like yours are at all helpful. Thank you for this beautiful idea. Much appreciated. Thank you for the supportive comment, Melissa! I really appreciate it and I hope this idea helps someone. 🙂 Have a great weekend! This is a great idea you have shared. My children are grown now but I will be sharing this with others. Thank you so much for this idea. Thank you so much, Kim…I really appreciate you sharing this idea with others and taking time to leave a supportive comment. 🙂 Hope you’re having a great week! I think your idea is great, and cannot be emphasized enough how important it is. I have an idea that may work without the printables. Please let me know if it would work, since I’m not a parent and not judging your or anyone’s parenting skills. 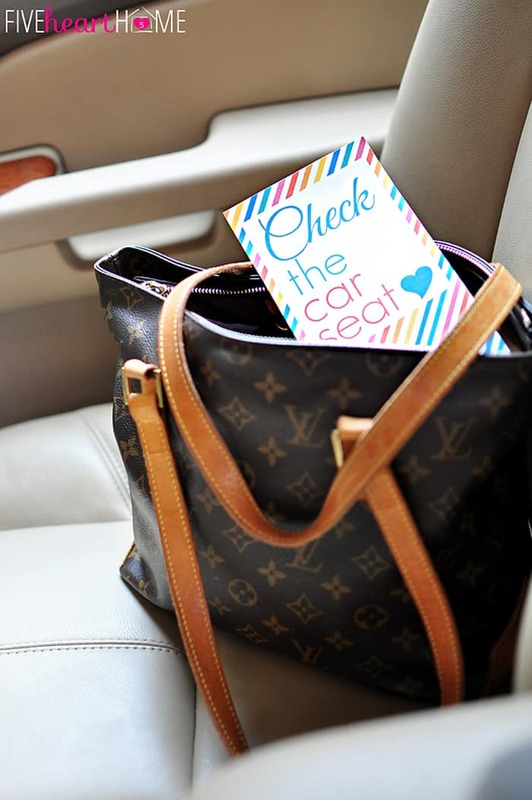 Don’t laugh: Why not leave your purse in the back seat, on the floor, where a child in a carseat can’t reach it? This also removes the temptation of checking or answering your phone while driving, which can also have horrific consequences. If your children are older and able to grab it, even with a seatbelt on, put your purse on the trunk, or behind the last seat of the minivan, or wherever you put your groceries? Wishing all 5 hearts health and happiness.